I think that my favorite crafts are the ones I can eat. Fun to make. Fun to enjoy. My only regret is that they just don't last very long. I am constantly mourning that my hubby does not eat sweets. But good for me, he does eat strawberries! And yes, that includes chocolate-covered strawberries! I was inspired by a picture of some similar strawberries on Bakerella, (although now I can't seem to find the link anywhere! ), and I knew I had to try this out. Just one word: DELICIOUS! These would be so much fun to make with your kiddos, and a scrumptious treat for a 4th of July picnic! Little Man's favorite food is, without a doubt, strawberries. Tonight I surprised him with these beauties, and he couldn't get enough of them!! He may possibly even like the chocolate more than the strawberries! By the way, we dipped pretzels to use up the leftover white chocolate, and that was delectable as well! Today is the last day to enter the Fun Fourth giveaway! Check it out here. I love these! Very cute idea! I'm glad you found a fun, festive dessert your whole family likes. Very fun. These are beautiful! I'm definitely making them for our 4th of July BBQ 🙂 Thank you! Yum! I love all things patriotic. 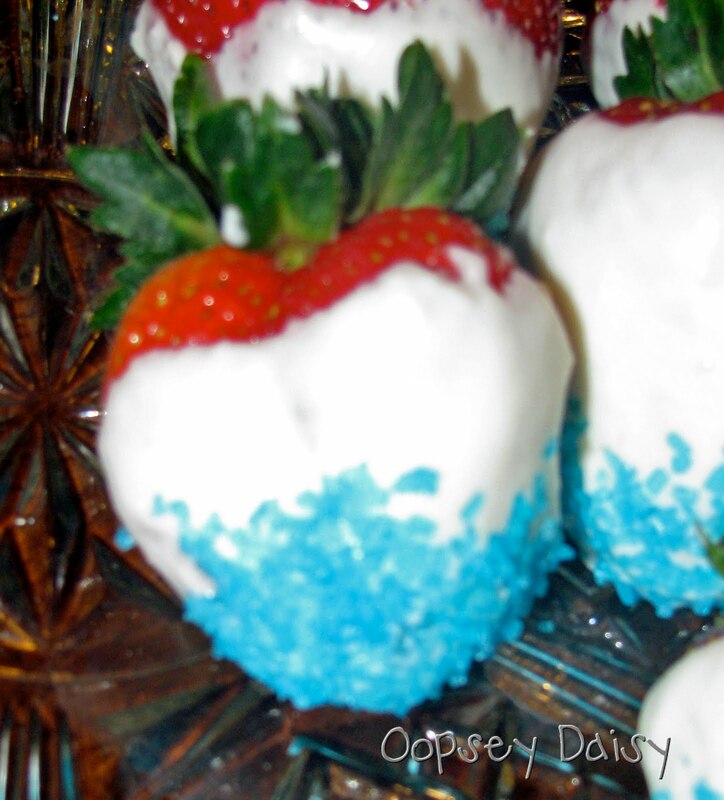 If I can have red, white, and blue, AND sweets, I am a happy girl! Those look fantastic! What a cute project. I will definitely do this! THanks! Great idea! Totally linked you to my blog and I know my readers will love your idea! those are so dang cute! what a great idea! Now this is something even I can handle! I love big show for little effort – strawberries + chocolate = can't miss! 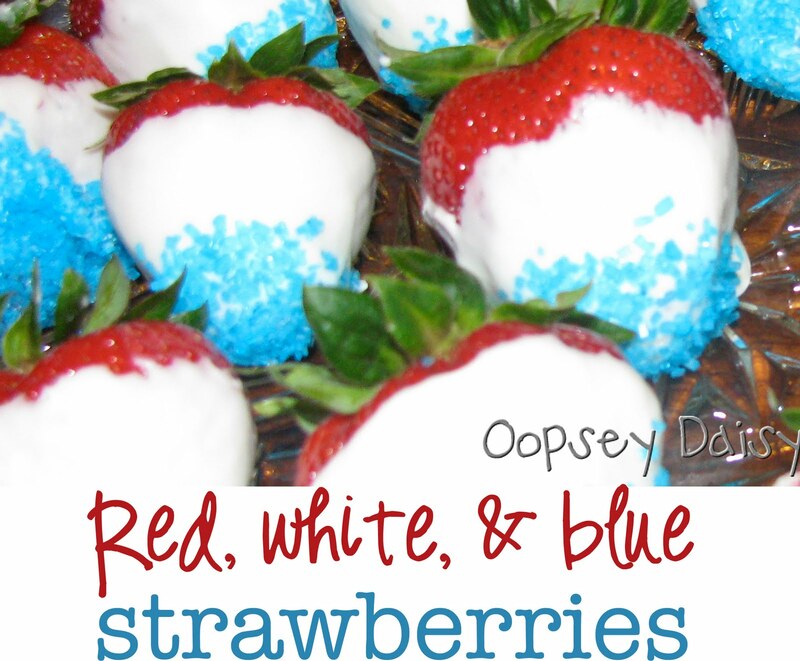 Would love for you to stop by Thursday & link up to Fab Finds for the Fourth! Those look awesome! I love anything festive, easy and tasty. Thanks for sharing. Fun AND delicious?! That's my kind of treat. How festive! Adorable, simple, delicious! Now that's my kind of project! Oh those look so yummy and refreshing! I need to make these! Thanks for the great idea and for linking them up to Hoo's got talent! Really fun, what a great idea! 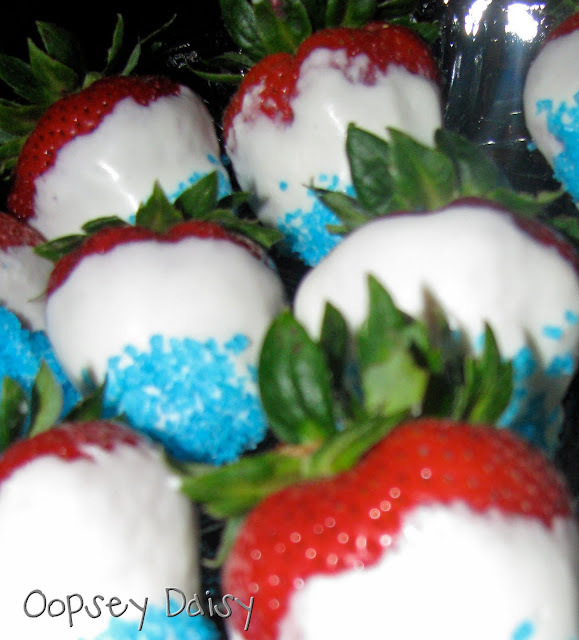 I made these for Memorial Day and everyone loved them! These are soo cute! I want to make them! I LOVE chocolate dipped strawberries! Those are just so cute and look delish! Those are gorgeous and sooooo yummy looking! I know what I'm making this weekend! Thank you! How cute and yummy are those! So perfect for the 4th! I found your blog on Tatertots and Jello's link party. Visit me at http://www.whateverislovely-ashley.blogspot.com. I have seen these twice and each time they catch my eye! They look great! If you want to come visit and see if you might be interested in my week of giveaways! Can't wait to try these. Thanks for the inst. What a great hubby you have! You have come to my rescue again! I needed a 4th of July treat for a customer appreciation, and you have it! I am making them today and I am so excited! Thank you so much! Oh, I'm gonna make some of these for the holiday! Thanks for sharing!! YUM! All I can say is YUM. Totally fantastic, I'm drooling ! 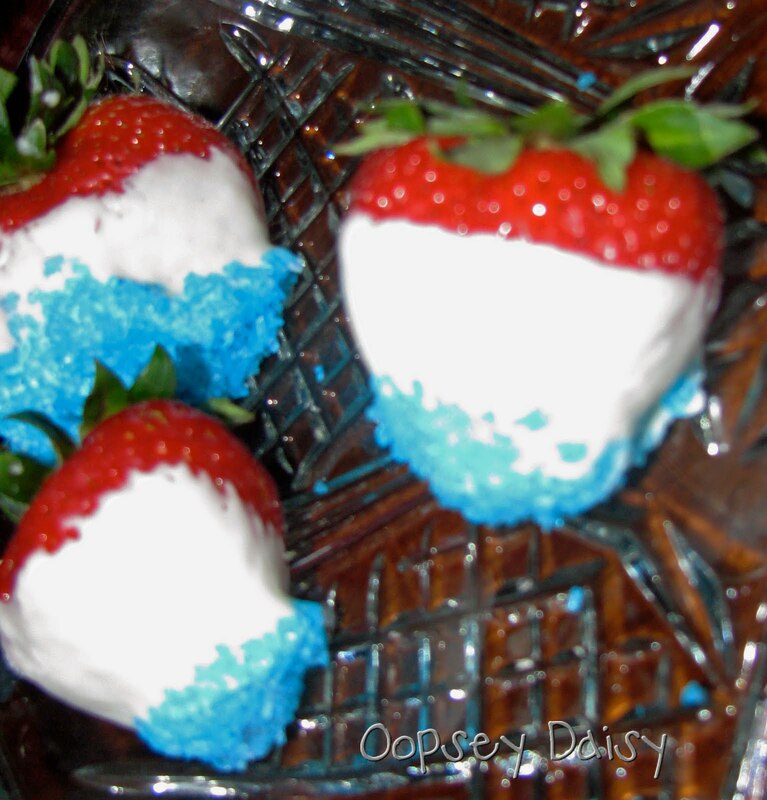 Happy Fourth of July and thanks for linking up to the party ! We'll be featuring tomorrow- they look FABULOUS! I'm totally drooling! Looks delish and so festive. Thanks for joining the Patriotic Parade! I made these and they were great! Thanks for the inspiration!